"The result with 295 votes cast, culminated with 280 support for Cánovas, 12 blank votes, and 3 no." 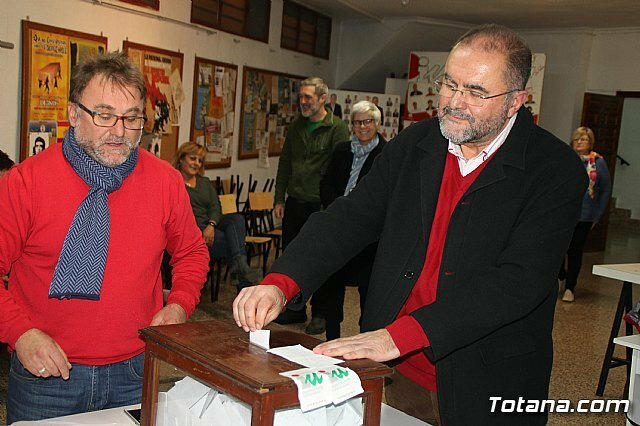 Last weekend we carried out our process of choosing the candidate with which Ganar Totana will attend the municipal elections in May 2019. A process that has exceeded our participation expectations, taking into account the remoteness of the elections and what was involved. of the ratification of the only candidate who expressed his willingness to lead the project. "We want to thank the 295 people who wanted to vote and let us know their opinion, in which to date has been the process of choosing a more open, transparent and participatory candidate, which is a revulsive to continue working in an exciting project to be the most voted party and be able to follow the path of change that we started in 2015. " 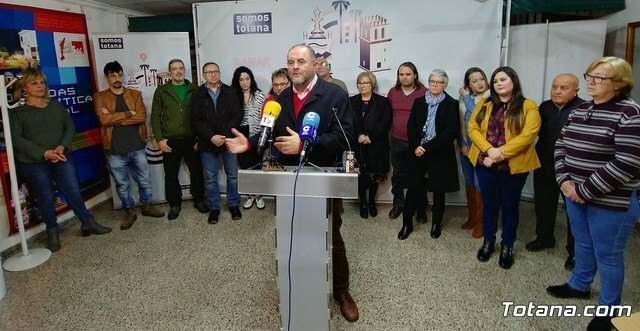 Winning Totana has the necessary experience to be the political group that consolidates a serious, honest, coherent municipal policies and above all watching over the general interest over acronyms and parties. In our project, people come first. We understand this stage since 2015 as a necessary transition to break the 12 years of disastrous government of the PP, which left our City Council as one of the most indebted in Spain. But now, we have a new period ahead, in which we face the future with renewed illusions to achieve our goal, which is none other than being the most voted party. For a political time where absolute majorities will not exist, have the necessary majority to establish a Government in which Ganar Totana holds the mayor's office for four years to be able to freely develop our Government Program for taking measures and actions that allow us to improve the municipal economic situation, public services and the quality of life of the inhabitants of the urban area and the districts. Although some issues we have not been able to carry out as we would have liked to not have the necessary majority for it, many other things have left the mark of Win Totana and have brought about a change that we now need to be consolidated. As the reduction of the Mayor's salary by 30% compared to its predecessor in the position, the sale of the luxury car to enable a van for the disabled and the elimination of trusted staff and a considerable reduction of the budget for the political staff of the town hall , the paralysis of strike threats in the garbage collection service and also the presence and good relationship between the Totana City Council and the Regional Government, banking entities and the Ministry of Finance during the Mayor's Office of Juan José Cánovas. As well as economic measures the approval of the Adjustment Plan that allowed the refinancing of the debt with years of lack so that we could face the debts previously acquired with companies and suppliers, and the millionaire sentences for concept of urban agreements signed by the Party Popular that they condemned us to the payment of more than 10 million euros. As a result of the negotiations with the creditors of the debt, debts of more than 2 and a half million euros were obtained, which meant an unprecedented achievement on the part of the then Mayor. "We come from far away, working with coherence, and demonstrating, after our passage through the Government and the Mayor's Office, that we have been able to lay the foundations for a real change in the economic and social policies in the City Council."